How to exclude certain columns from being exported in SfDataGrid? 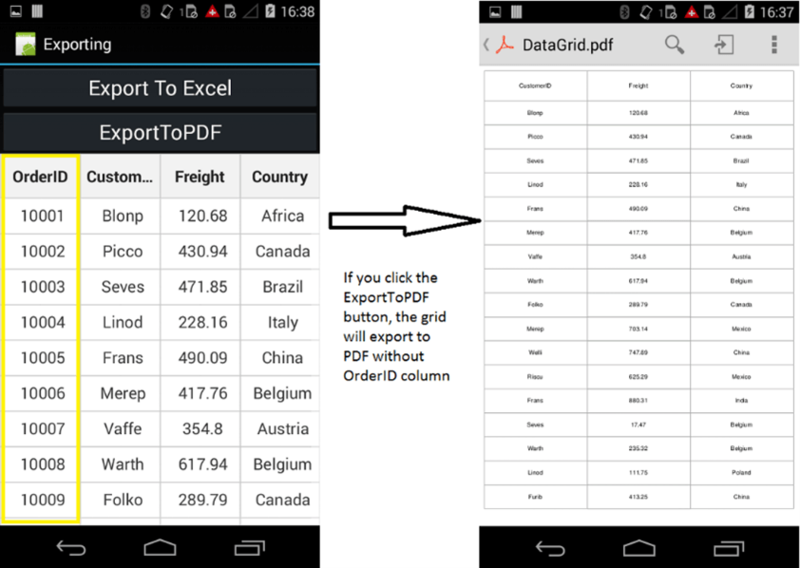 SfDataGrid allows you to exclude certain columns from being exporting to Excel or PDF. You can achieve the requirement when exporting to PDF by adding the column to be excluded in the ExcludeColumns property of the DataGridPdfExportOption. You can then pass the created DataGridPdfExportOption instance as a parameter to the function ExportToPdf(). The below code illustrates how excludes certain columns from being Export to PDF. The following screenshot shows the outcome on executing the above code. Note that OrderID has been excluded in the exported grid. Similarly, you can achieve the requirement when exporting to Excel by adding the column to be excluded in the ExcludeColumns property of the DataGridExcelExportingOption. The below code illustrates how to excludes certain columns from being Export to Excel. The following screenshot shows the final outcome on executing the above code. Note that CustomerID has been excluded in the exported grid. How to exclude certain columns from being exported in SfDataGrid in Xamarin Forms? 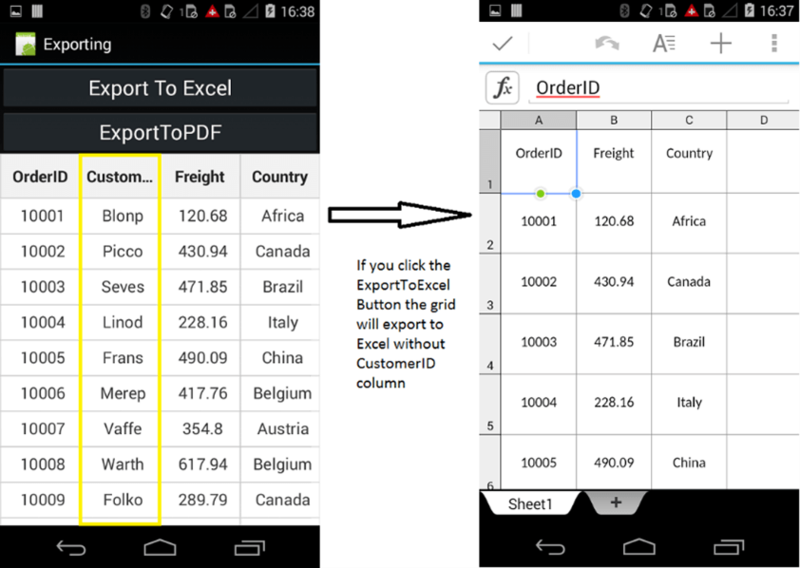 How to exclude certain columns from being exported in SfDataGrid in Xamarin Android?